When you are in the market for a sporty performance sedan, you might think your only option are luxury models that often come with a much higher price tag. You might be thinking "you get what you pay for" right? Well, that doesn't always apply when it comes to cars. Sometimes you can get tons of features and capabilities at an affordable price! These days, many mainstream manufacturers are expanding into the performance arena, hoping to offer drivers looking for an exhilarating ride exactly what they are looking for, without forcing them to spend an arm and a leg to get it. 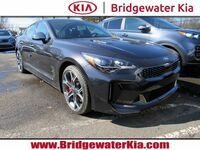 The Kia Stinger is a new model that has been extremely popular with sports car enthusiasts around the globe. To show you how impressive this model is, we've pitted it against some of the most popular luxury sports sedans on the market. 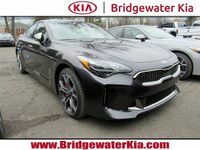 See how the Kia Stinger stacks up against the 2018 Mercedes-Benz C-Class, 2018 BMW 320 and 2018 Audi A3! 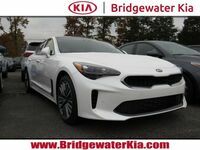 To sum up the table above, the Kia Stinger is a valiant competitor against some of the top luxury models on the market, giving you more for less! 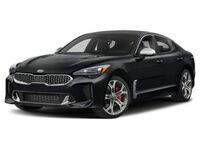 While it is lower on the fuel economy estimates, the Stinger offers more horsepower, way more trunk space, more convenience and safety offerings, and better warranties for less money than any of the other models. 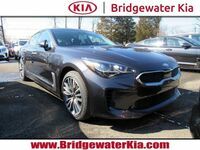 Anyone looking for a sporty, luxurious sedan model needs to consider the Kia Stinger! 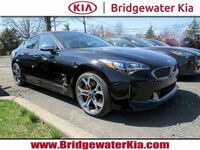 The Kia Stinger is an aggressively stylish model, with fastback proportions and chiseled body lines that show off its powerful capabilities. Bold LED headlights with jewel-like turn signals are available to help you light up the road ahead, while the side mirrors are aerodynamically designed to help minimize wind noise inside the cabin. Dual twin exhausts complete the Stinger's aggressively sporty look, creating balance and style at the rear. 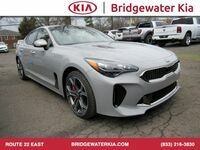 Inside the Kia Stinger, premium materials and a clean design inspired by aeronautics leave you feeling enveloped in luxury and comfort. Bucket seats in the front cradle you around every turn, and chrome detailing throughout the cabin add a sporty flair to the interior.